Researchers track the source of energy of the 2017 Hurricane Harvey that punished parts of Texas ... right to the record-high Gulf of Mexico temperature. Mitigate and adapt. Mitigate or adapt. “Right now, we’re kind of doing neither,” says George Mason University scientist Peter Jacobs. Which, as this year’s hurricane season is getting under way, leaves us still facing the “suffer the consequences” outcome, according to National Center for Atmospheric Research climate scientist Kevin Trenberth. 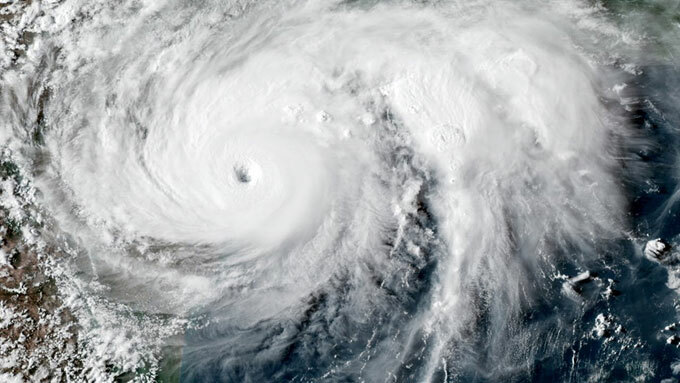 Along with Lijing Cheng of China’s Institute of Atmospheric Research, Trenberth and Jacobs analyzed the source of the “fuel” for Hurricane Harvey, which deluged Houston and parts of Texas in August 2017. “We’ve actually analyzed where the water vapor came from, and it came out of the ocean, and the ocean heat content was at record high levels,” Trenberth says in this month’s Yale Climate Connections “This Is Not Cool” video. “Water vapor is the fuel for all kinds of weather systems, whether it’s an individual thunder storm” or a hurricane or tropical cyclone.